Bella, poised like a statue. 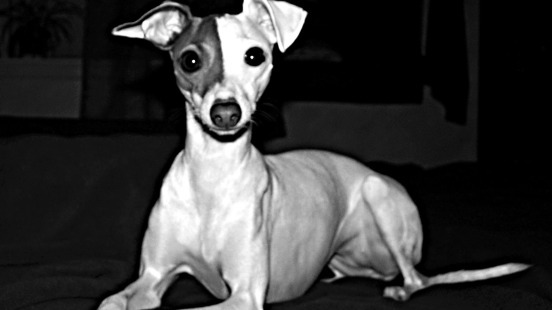 The Italian Greyhound breed has a long history, because of their gracefulness they have been portrayed in paintings and were a popular breed in Renaissance Italy. They continue to be a great companion, smart and full of energy.